This topic contains 19 replies, has 2 voices, and was last updated by danieloberhoff 1 week ago. I know it may be a bit mean to post this here, but I thought there may be interest. I got a bit frustrated not getting the sysex readback implemented in the d110 panel that was postet here, so I ended up coding up my own in a native application. So far I only compiled it for osx, but in theory the code is platform independent, so if there is interest I may try to get it running on linux/windows and/or open source the code. This topic was modified 3 weeks, 2 days ago by danieloberhoff. I’d love to try it with my D10. Sorry for the tease and delayed deliver. I need to do some magic to get the exe properly relocatable, i.e. it runs on any osx laptop. there is one hold-up: right now it has to be run from console, because there is no selector for the midi interfaces. Is that ok for you? What I can do to help is make a double clickable shell script which you can edit to enter the right interfae names (and double clicking in un-edited state would list them out for you so you can copy paste). Also on the to-do list (besides graphical interface selectors or even auto-discovery) is setting partial mute and voice structures, but for the latter i am very close. I’m ok with launching it by terminal. Partial mute would indeed be awesome, if it’s possible to set a CC to control partial volume that’s also good enough. Ok, i managed to package it up a little. the zip contains a folder with the exe and all needed libs. you need to leave them together like that. its like the dlls in windows. pressing update should load data from the device. you can select one partial or multiple (with shift) and those will be edited. you can use mouse scroll to push sliders (which is very useful when you edit multiple partials). oh, sorry, forgot to relink that. 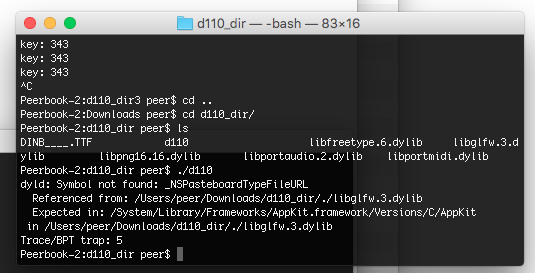 the libpng is actually in the directory, but i forgot to patch that in the exe. here is a fixed version. Interesting. Well, I am very new in actually distributing binaries. I assume this now is really a limitation of the os. Is there any chance you will update your os? Otherwise I can try and rebuild the binary and its dependencies for your os version. allright, i spend a few hours trying to compile dependency after dependency just to get glfw running. 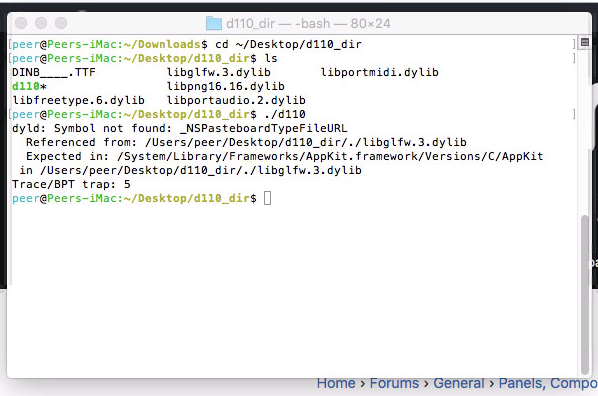 in the end i just moved your included libglfw.3.dylib to /opt/local/lib/ and it seems to atleast launch. 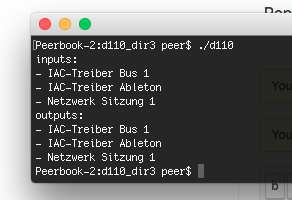 However, I does not list any midi device at all, not even the system-enabled IAC drivers. Ok just had to move the libportmidi library aswell, it launched. Now time to hookup the old D10. This reply was modified 1 week, 4 days ago by doepfer. yeah the window scaling is way off. not everything is visible and i am not able to use the corresponding slider i am hovering over, a different slider will be moved. damn. Ok, then I must have overlooked something. This stuff is quit finicky on OS X. Sorry for the trouble. Looking at the specs the d10 has very similar mapping. I will later check in detail and if I spot a difference I will try to bake a d10 Version. 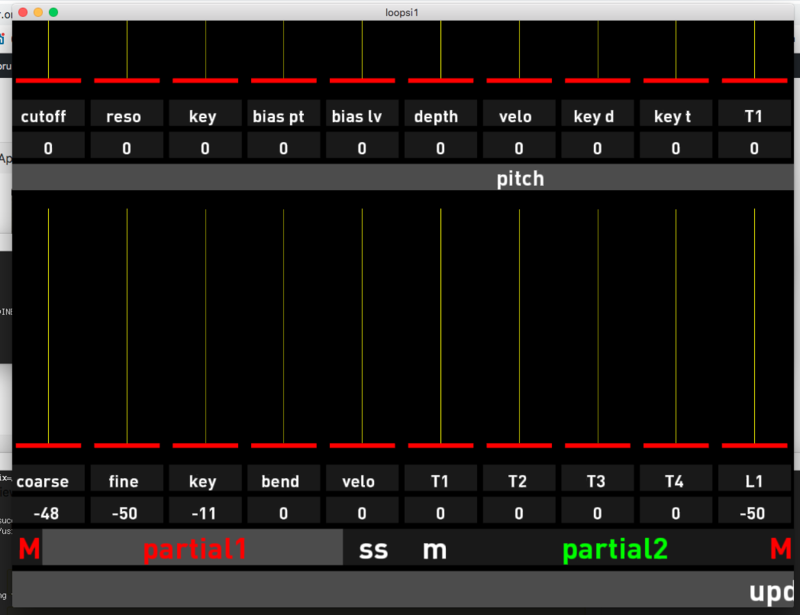 I must say this really makes the synth much more usable, and if only to tweak out some annoying detail of a sound. Please try this one. In theory it should also now work without moving around libraries. This reply was modified 1 week, 2 days ago by doepfer. I could upgrade to another version of OSX to see if that would help, which version are you running? well, I am on mojave. sorry, not much time to dig right now. another way may be to try backwards: swap out the libraries i supplied with your versions. maybe rename them to make it work. or I can make an unpatched binary, because then it will look in your install dirs.